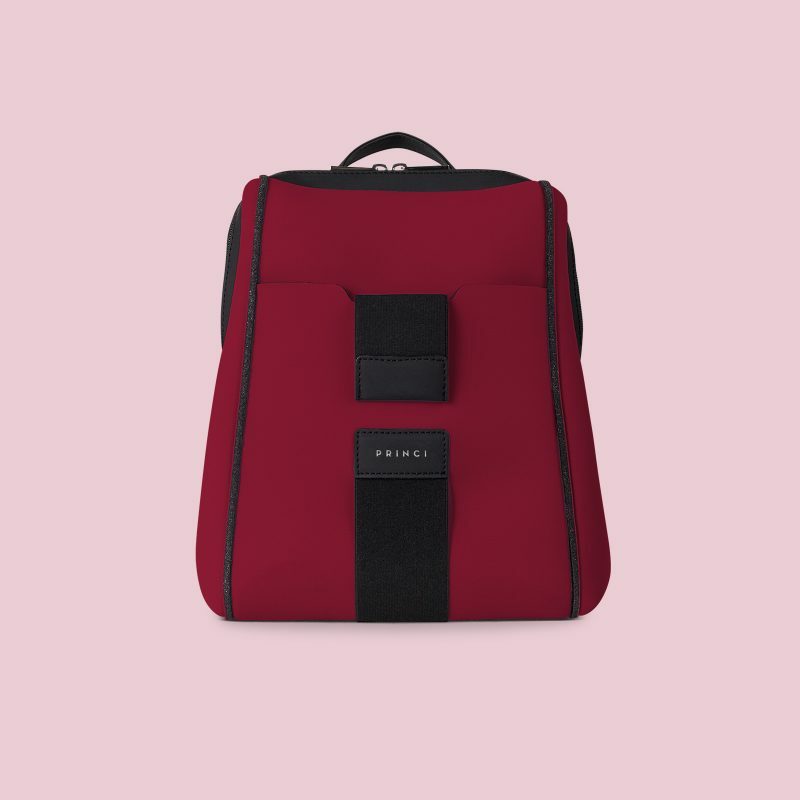 The Conchiglia backpack is made of padded Lycra with straps in rubbery fabric, it is equipped with a metal double zip closure and a magnetized elastic, has a removable rigid bottom and is finished in an iconic rubbery fabric detail with logo. 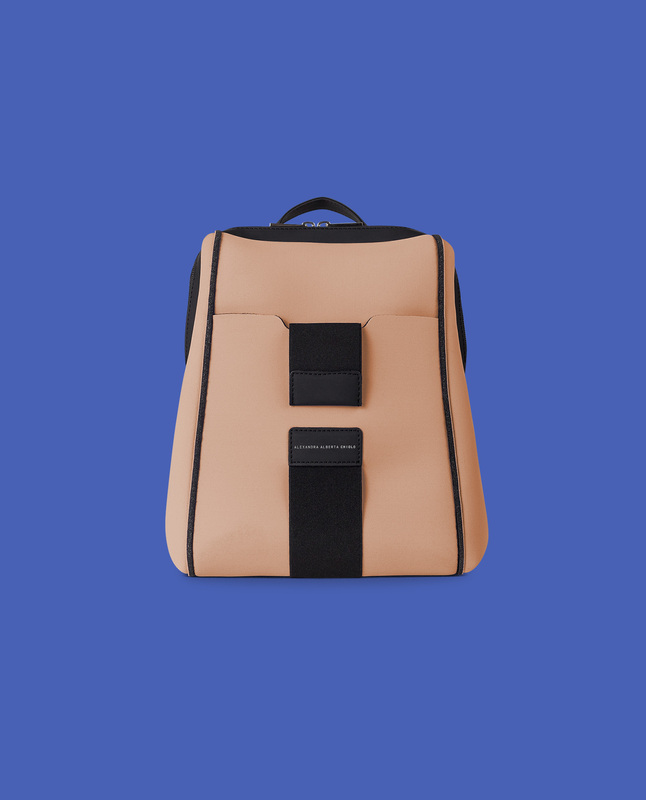 The backpack is 100% Made in Italy, lightweight, rainproof and machine washable at 30 °. 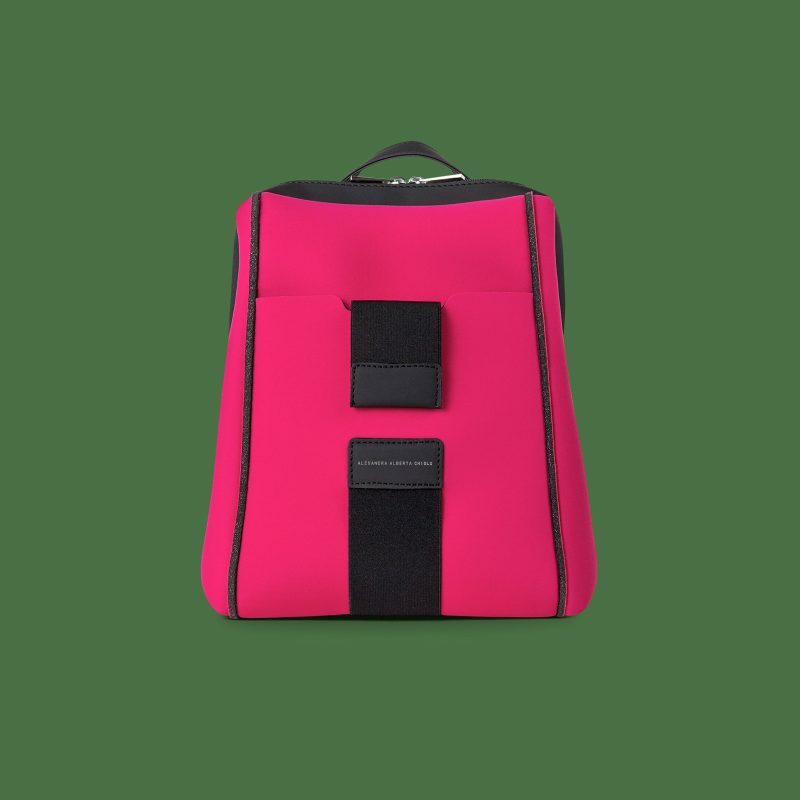 The Conchiglia backpack is extremely capacious and can contain an 11-inch PC. 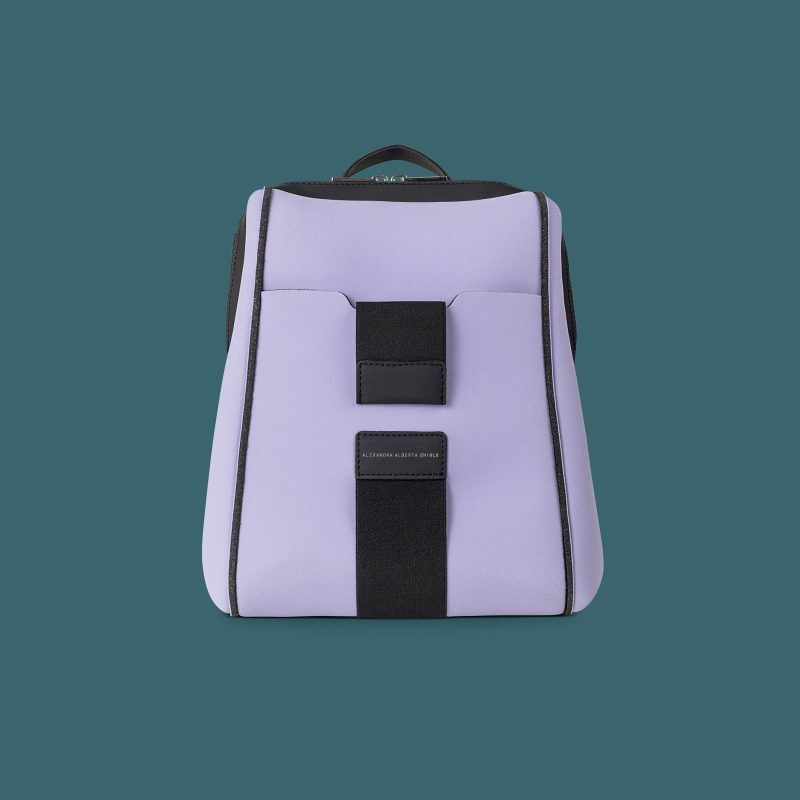 The Backpacks are made of padded Lycra and are very light, weighing only 330 gr, despite the incredible capacity of 12L. 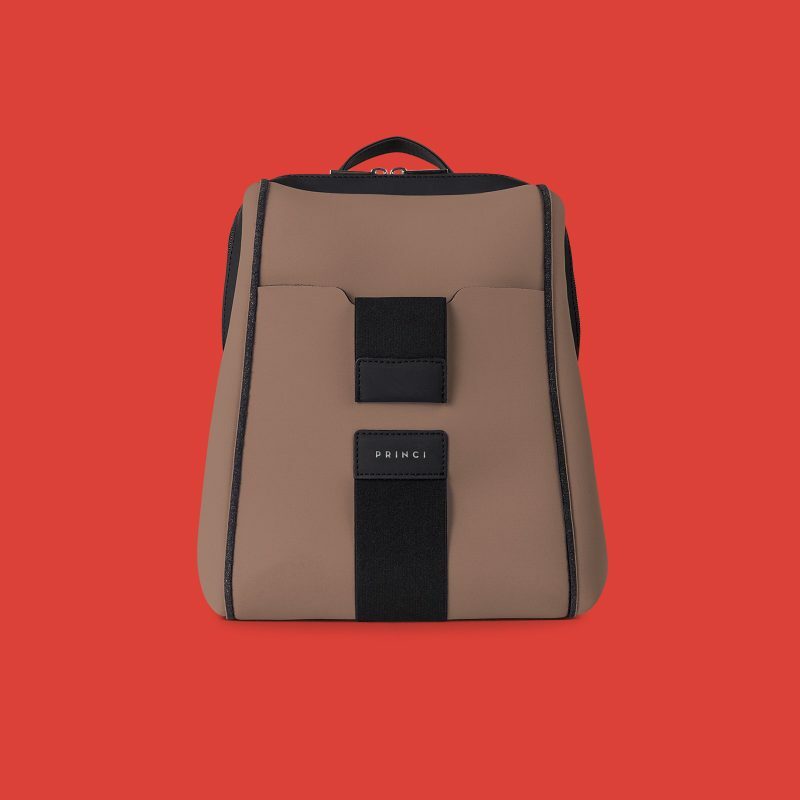 Opaque texture that gives the products an urban chic look, the matt finish is perfect in every day and ideal in the evening for casual events. 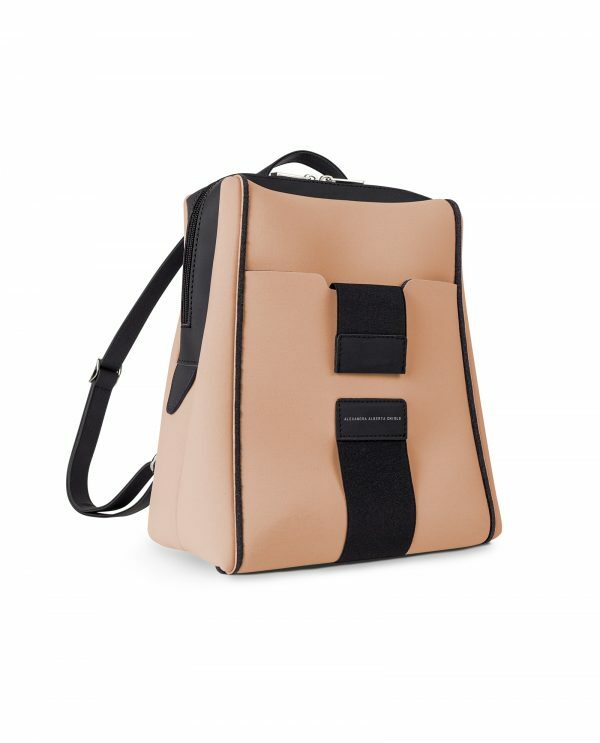 The Backpacks, like all the creations made by Alexandra Alberta Chiolo, are and always will be made in Italy. 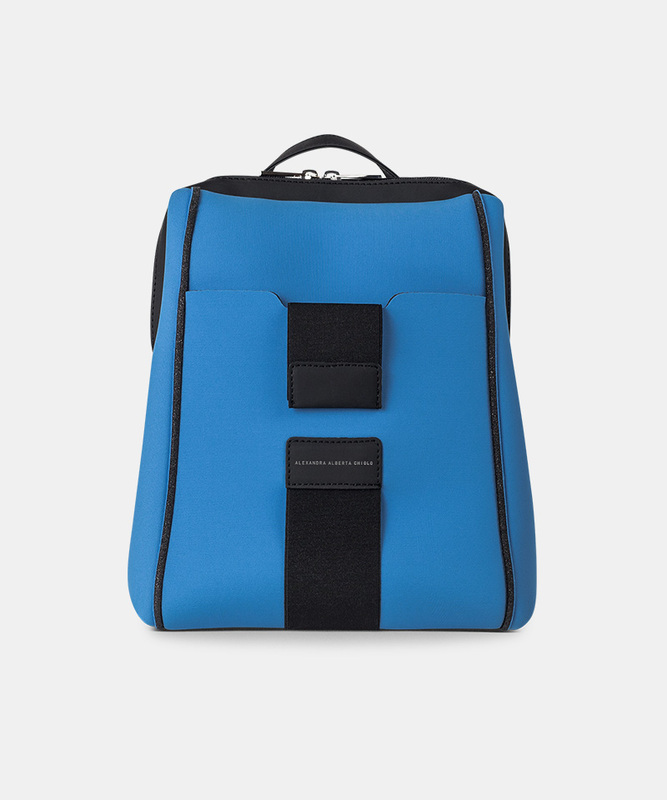 The Backpacks are available in more than 20 colors. All Alexandra Alberta Chiolo products can be washed by hand in cold water. All Alexandra Alberta Chiolo products are not afraid of bad weather because they are totally rainproof. 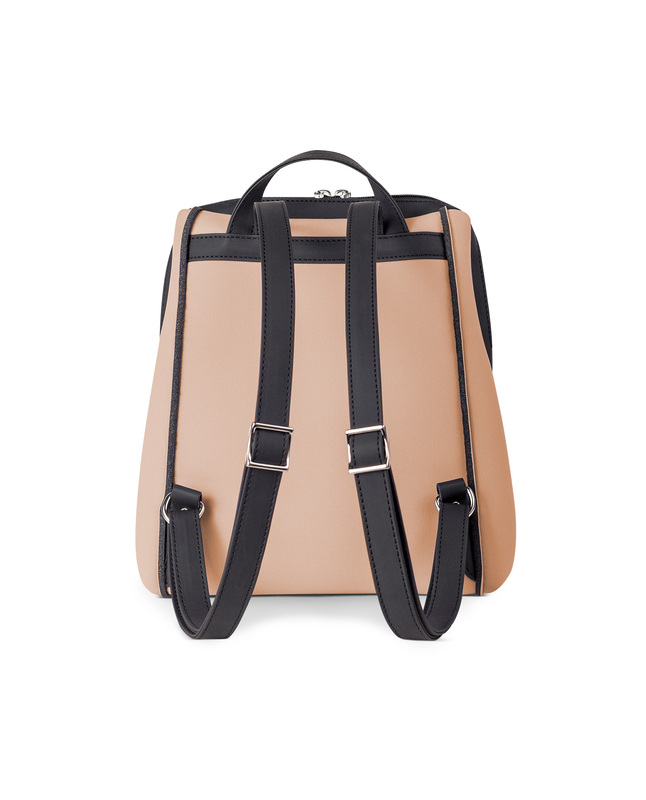 All metal accessories used on Alexandra Alberta Chiolo products are nickel free and therefore non-allergenic. Never forget to smile, take a backpack and go to meet the world!